An early start – to little avail. On Captain’s orders (with which Boatwif totally concurred) the boat and crew had to be ready for the 0800 locking down from Gloucester Dock. 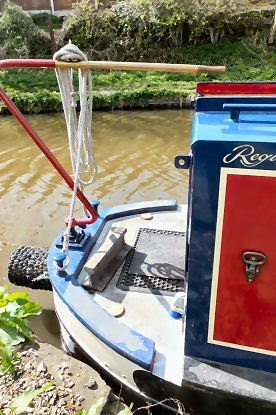 Current regulations (due to low water levels) restrict lockings to five per day, on the even hour (or so we were told at Upper Lode lock last Saturday). But the regulation the Gloucester lock keeper was working to seemed to be of rather different timings… no matter, Cleddau and her crew were ready and happy to wait. Then, along the pontoon came the helmsman of the breasted pair of hotel boats, whose arrival and neat mooring had been observed and much admired yesterday. In his hands he carried a hosepipe reel and another length of pipe. Very soon he was back, using unmentionable words, in a hissy fit extraordinaire: “officious lock keepers…regulations,” being the few repeatable words. Back to his boats he went. 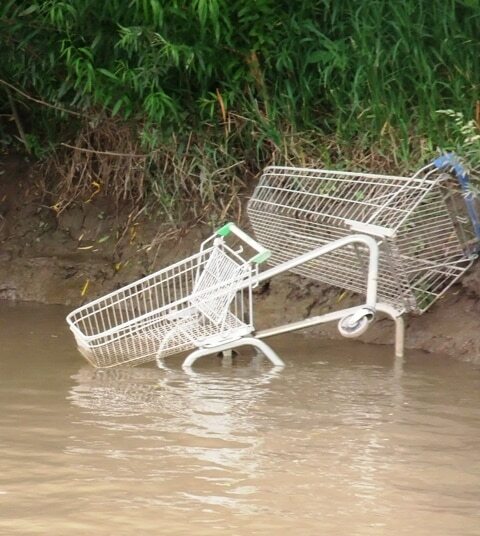 Visions of his paying passengers stranded in waterless showers came to mind… Despite whatever the hapless guests were trying to do the boat pair was unhitched and charged across the dock to a legitimate water point. If there is a moral here, it might be CTHH (Check Temperament of Hotel Host). 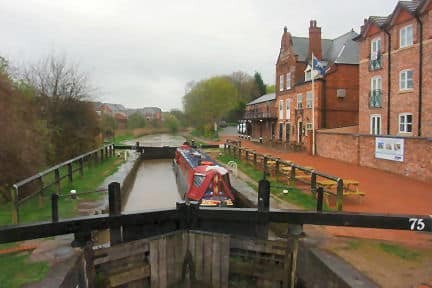 The lock keeper’s version of the spat was of the “No way am I having hotel boats using my water and laying their hosepipes across a public footpath” variety. Time ticked by and before 0900 Cleddau, another narrow boat and a tall cruiser had been lowered to river level, for between Gloucester and Tewkesbury the river is at its lowest, only a weir separating it from the river’s course to the sea. 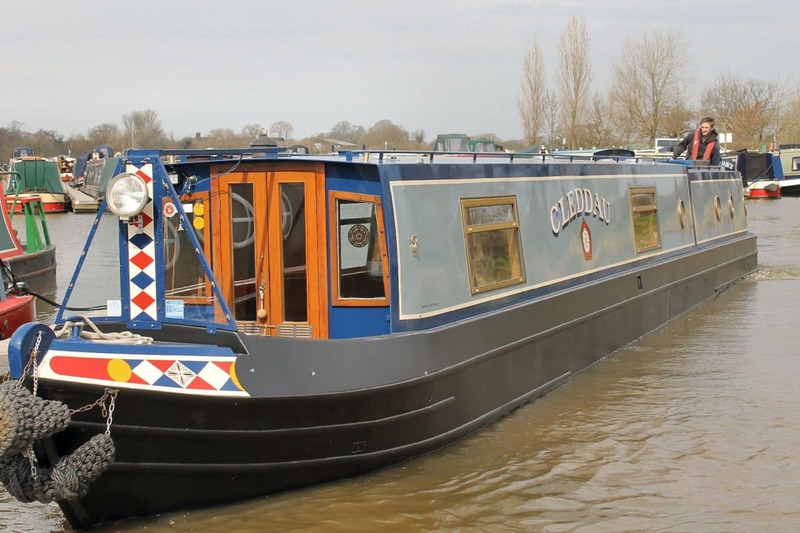 Cleddau had left her moorings at Poynton at over 500 feet above sea level; from Tewkesbury on to Kingswood Junction (Warwickshire?) it will be up hill all the way! 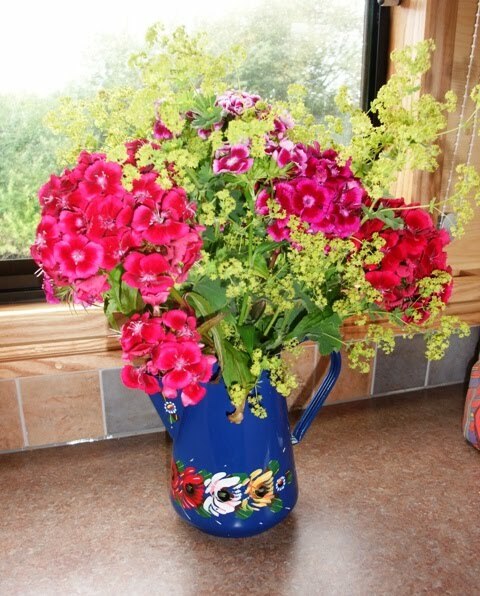 On her visitation yesterday Senior Sister brought freshly cut Sweet Williams from her garden; they are bringing colour and sweet memories to the galley. Today, after a visual diet of predominantly green (the trees and banks) and brown (the river) when coming upstream, broken only by the rusty steel of two supermarket trolleys, it was a delight to be confronted first with vibrant colour and then with beautiful pastel shades. 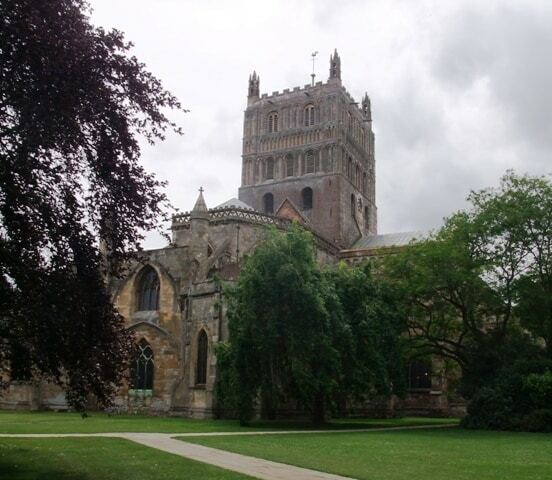 The navigation notes mark Tewkesbury Abbey and also Bloody Meadow, site of the Battle of Tewkesbury. 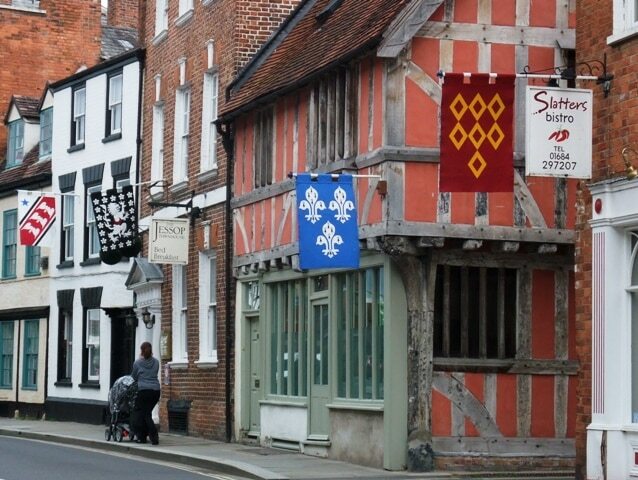 For the last twenty or so years between June and September the town has displayed hundreds of colourful banners along the main streets. The banners are carefully researched and represent those flown during the battle between Lancastrians and Yorkists on 4th May, 1471. So those were the surprise vibrant colours. 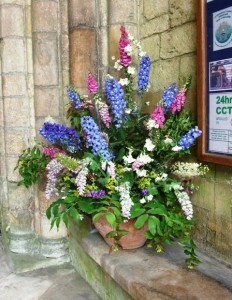 Then at lower levels, on the pavements and in the Abbey, there were impressive floral cascades and arrangements. The Abbey is enormous. 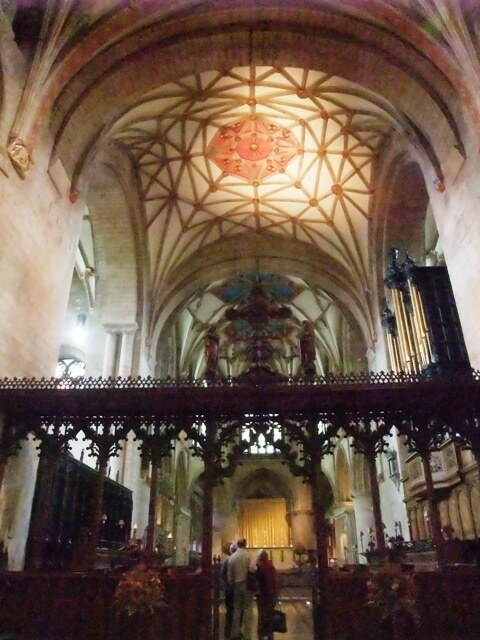 Its vast space created by huge Norman pillars and rounded arches completely dwarfs the seating. The roofs are marked by glorious colour and fine vaulting. 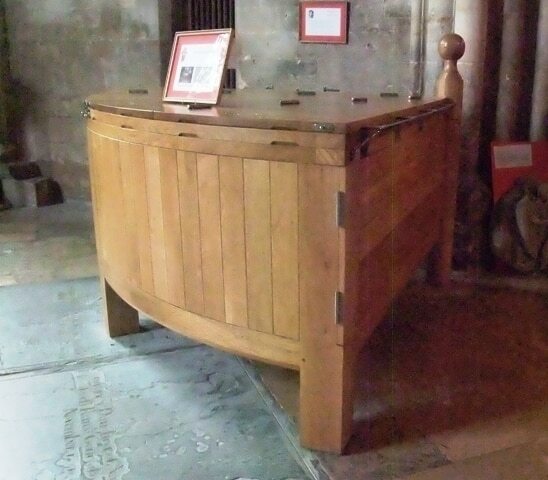 A very modern cope chest was in sharp contrast with the fourteenth century one seen in Worcester Cathedral. 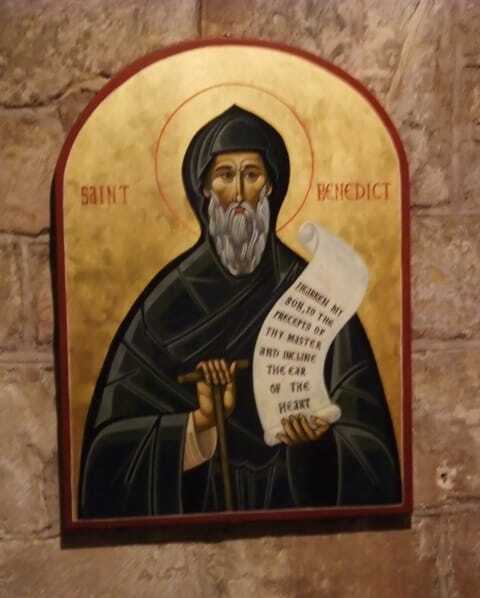 Unusual in the Abbey is the number of religious icons, probably related to the Abbey’s Benedictine past. Apart from icons and impressive floral displays the Abbey boasts a peal of 13 bells, the thirteenth added in the last twenty years… And behind Cleddau tonight is moored a boat bearing a bell on its side, crewed by two campanologists. 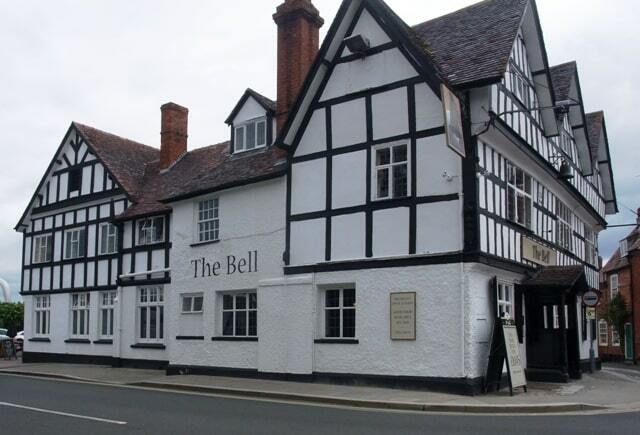 It’s not practice night (Thursdays) so no comment can be offered on the tone of the bells! Bells and flowers are often part of marriage celebrations. 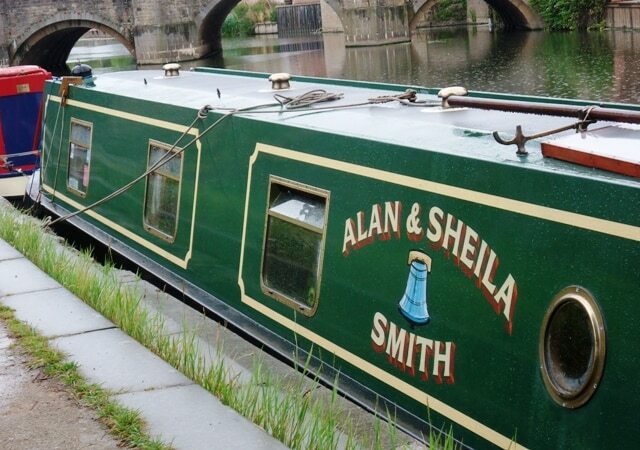 Spare a thought, if you can, at about 6pm tomorrow BST (Saturday 18th), when far away in Washington State, USA Jaqueline Almdale will marry Les Biggs in a handfasting ceremony, then to return to the UK to livetogether on a narrow boat. Some of you will be familiar with their intriguing tale. 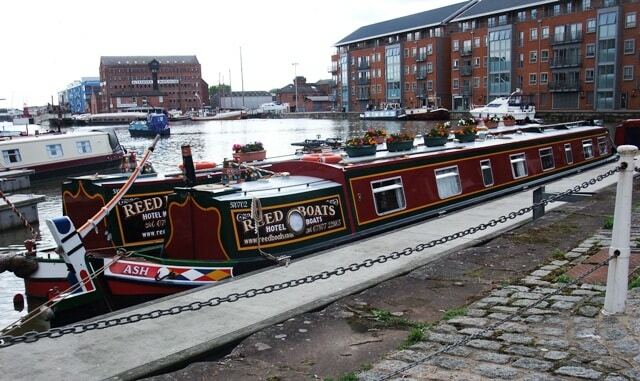 Tomorrow a half day’s cruise to Pershore.